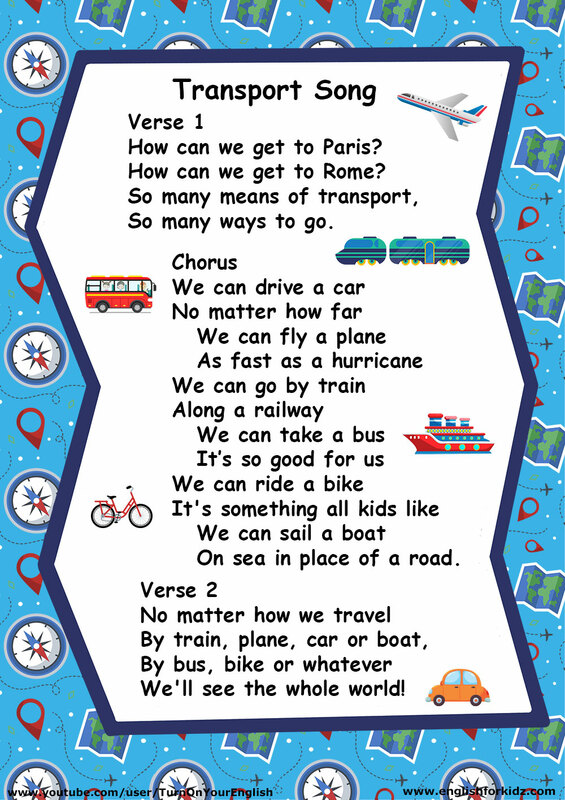 Today I would like to share my new Transport song for children. 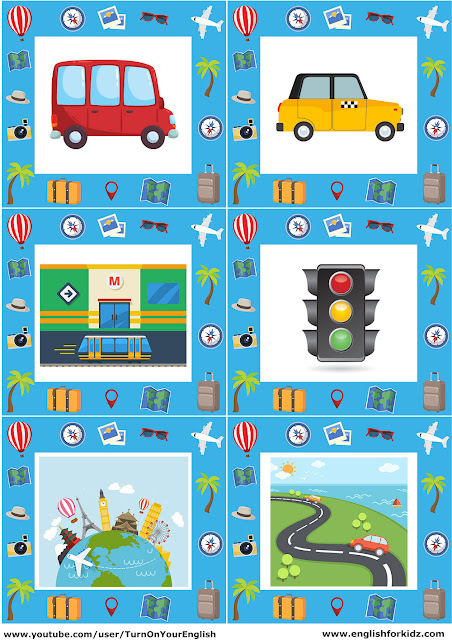 This song helps young learners memorize means of transport and have some fun while learning English. 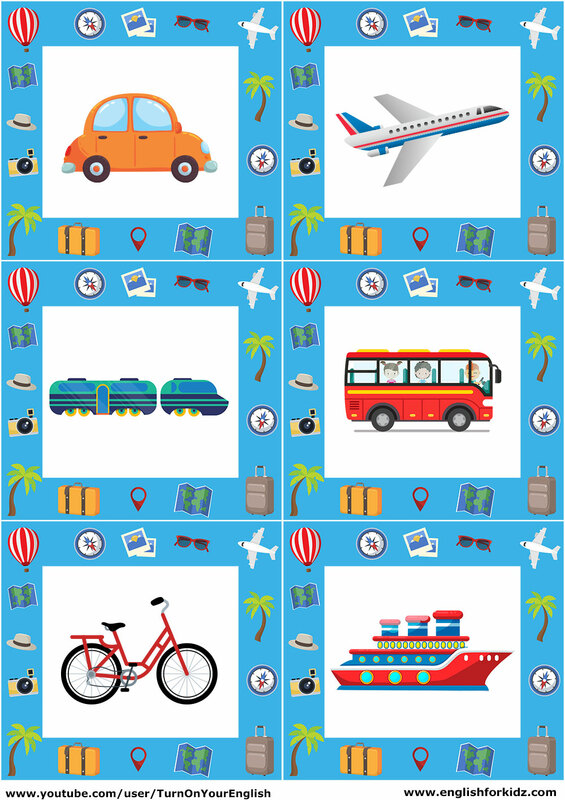 How can we get to Paris? How can we get to Rome? On sea in place of a road. 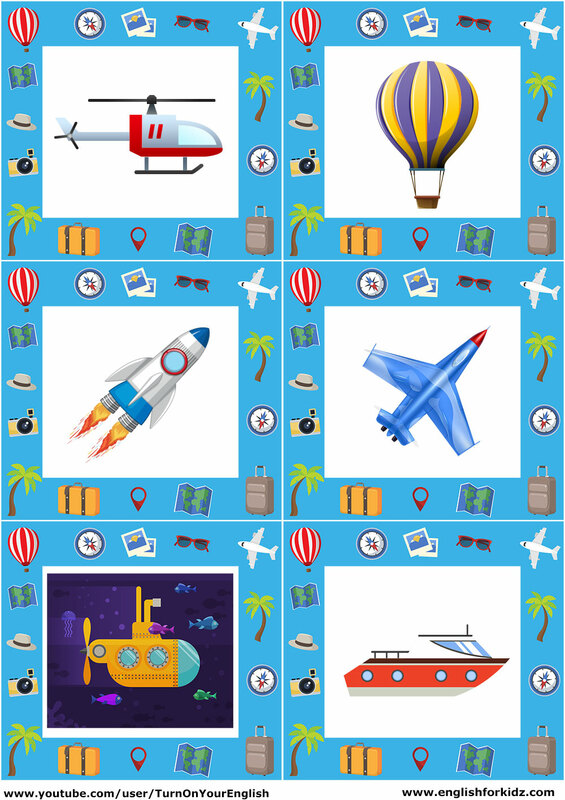 We'll see the whole world! 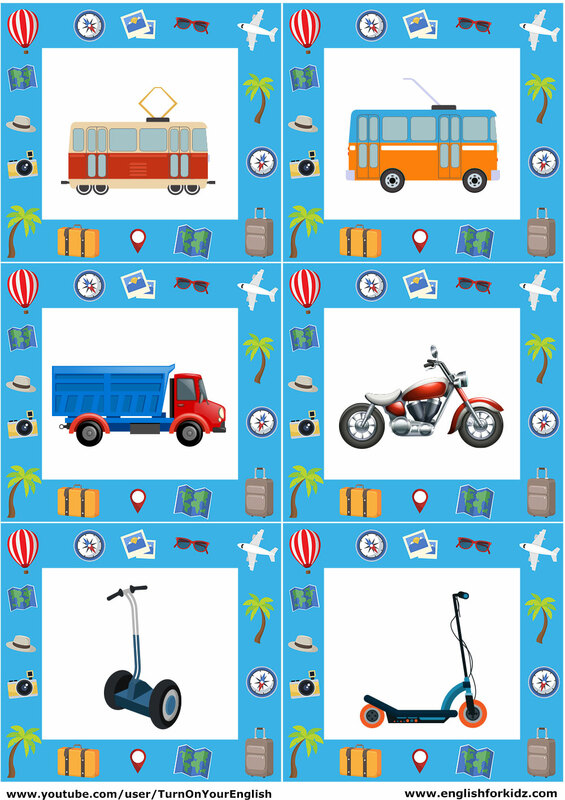 Here are some flashcards to use for your English classes on the transportation topic. 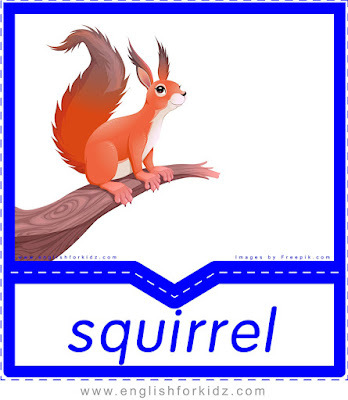 ESL teachers can also use the small cards with words published below in a variety of of activities such as matching words and pictures, searching for missing words and so on. As usual, I would like to offer some worksheets to consolidate the transportation vocabulary. 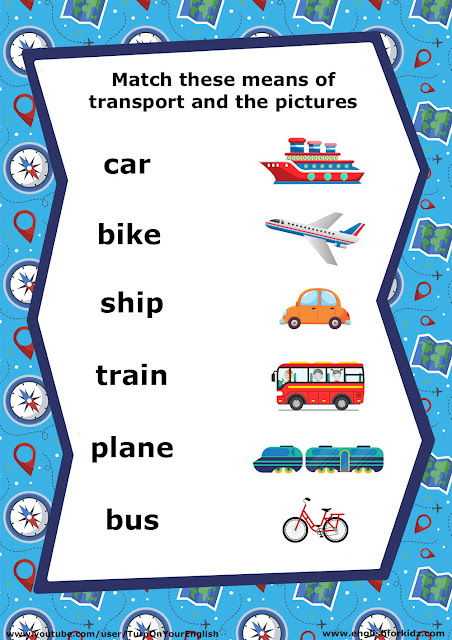 Worksheet 1: Children should read the names of transportation vehicles in English and match them to pictures. 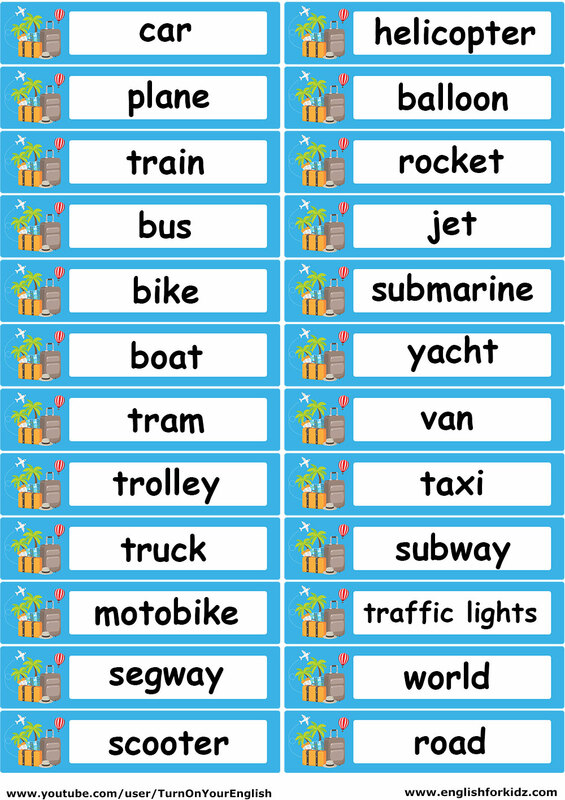 Worksheet 1: Students are asked to unscramble the words and write them down on the line below. 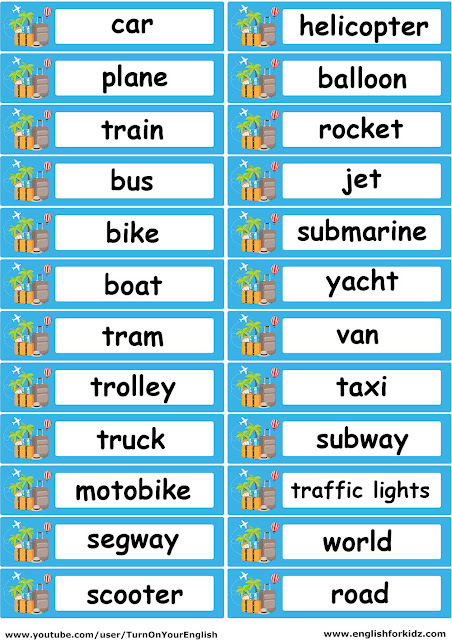 Transport vocabulary word unscramble worksheet.